“The example of the heart is the example of the king and the limbs are the recruited army. Hence they all go by the orders of their king. If the king was righteous he would order righteousness and if he was corrupt he would order corruption." All are stricken and you are safe? All got it wrong and you got it right? All are blameworthy, and you have excuses? "….a constitution (of a country) is to be more like the keel on a ship: regardless of changes in winds and weather, it helps keep the ship of state moving in the right direction." An honest man knows that revenge does not taste sweet. Whenever each day passes then part of you has gone. And lower unto them the wing of submission and humility through mercy, and say : "My Lord ! Bestow on them Your Mercy as they did bring me up when I was small." And walk not on the earth with conceit and arrogance. Verily, you can neither rend nor penetrate the earth, nor can you attain the stature like the mountains in height. All the bad aspect of these ( the above mentioned things) are hateful to your Lord. "The News Media is quick to spread the name of a person charged with a crime, but an innocent verdict is usually missed by the public. " Let your gazing at this world be a lesson, your renunciation of it a choice, and your taking from it a necessity. "It is the (nature of the) soul; if you do not preoccupy it with truth, it will occupy you with falsehood. 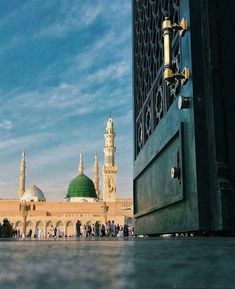 It is the (nature of the) heart; if you do not accommodate it with love of Allaah, it will dwell with love of creation and this is a certain reality. It is the (nature of the) tongue, if you do not preoccupy it with remembrance, it will most definitely occupy you with frivolity. Thus, choose for your own self one of the two courses and confer upon it one of the two standings."